We wanted our first trip to Maui to be special, so we did our research. 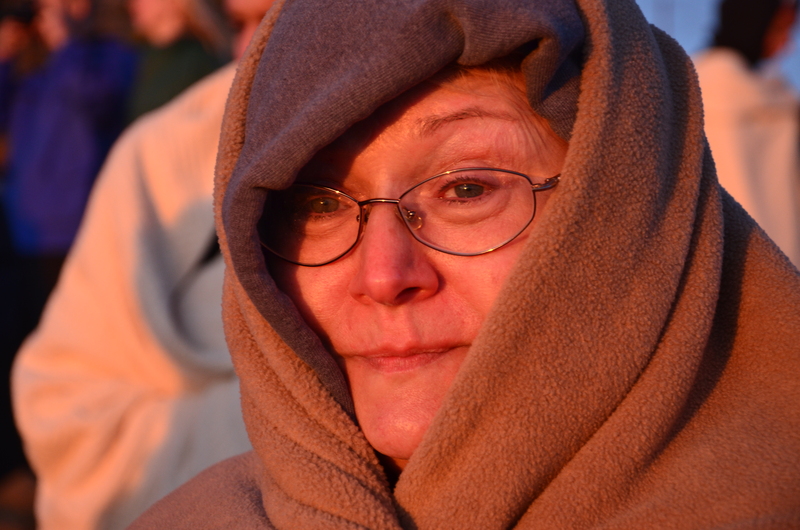 I told Velda one option was to watch the sun rise above the Haleakala volcano, knowing that Velda would never approve that idea. I’m the early riser. She’s the late riser. So on vacation, would she want to get up early enough to see the sun rise? Now, of course, there are many, many other things you should do. Cook fresh fish on the grill, drink your favorite beverage on the beach, see every gorgeous sunset (which is every one) … many things to do. 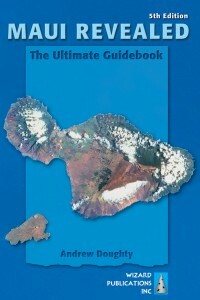 But this is the story of Haleakala. Velda was blanket-wrapped with multiple layers, including her UCLA hoodie. She regretted not having gloves, and wearing Capris instead of long pants. To enjoy the trip, it’s all about the prep. Know this: it will be cold at the summit. Bring layers of clothing. Long pants, gloves, hat, heavy socks, shoes. 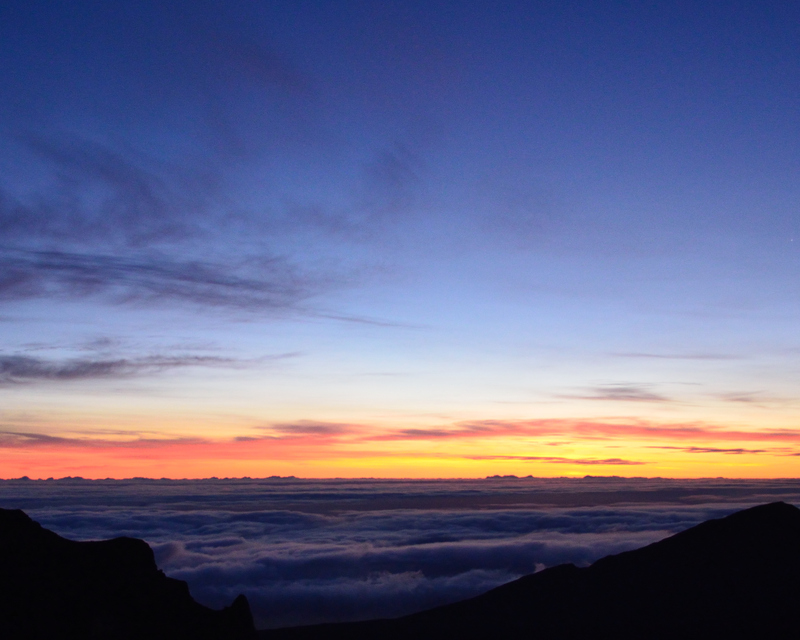 Yes, you’re going to a tropical paradise, but the summit of Haleakala is 10,023′ above that paradise. You’ll be in the dark, faced into a stiff wind, and it will be bone cold. Be prepared, or you won’t enjoy this wonder. Get the car ready the day before, with a full tank of gas. Have breakfast preset, or eat in the car. 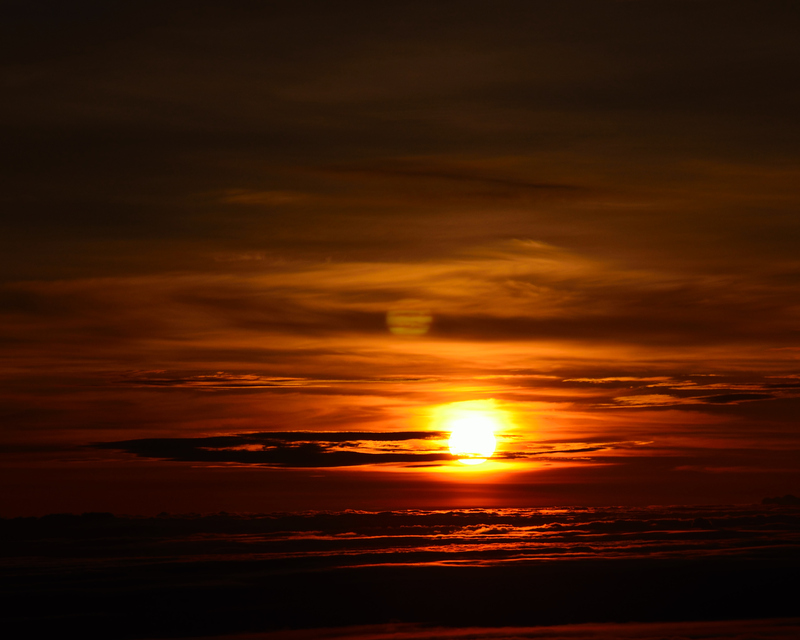 We got up at 2:30 am in order to get to the summit before sunrise, and we did not get there any too early. We had time to get there, figure out what we should be doing, take a bathroom break, and then claim our spot on the observation rail. I brought a monopod to steady my DSLR. I held it steady against the metal handrail (I was there in time to get in the front row). Some of the photographers did bring tripods, but I was fine on the monopod; the slowest exposure below is the first one, which was 1/30 of a second. The pictures below are not color enhanced. 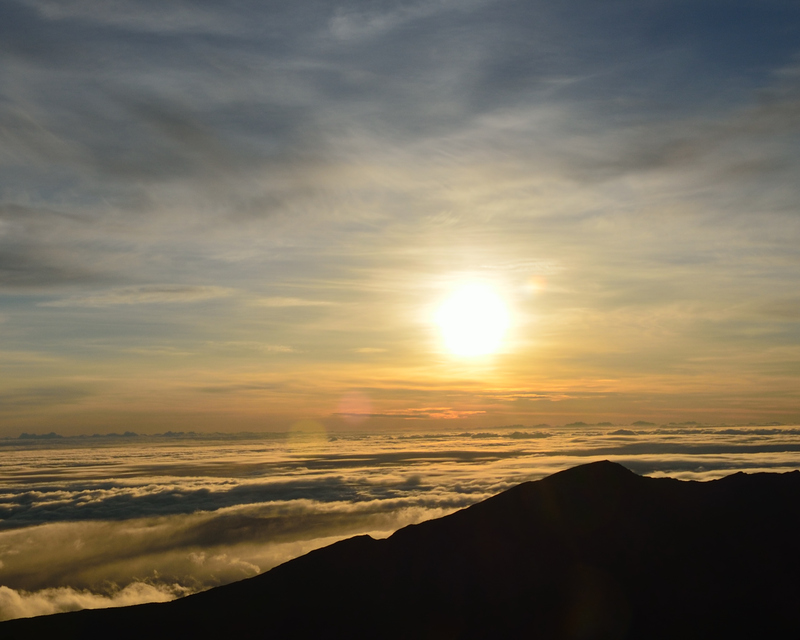 You watch the sun rise above the edge of the Haleakala crater. 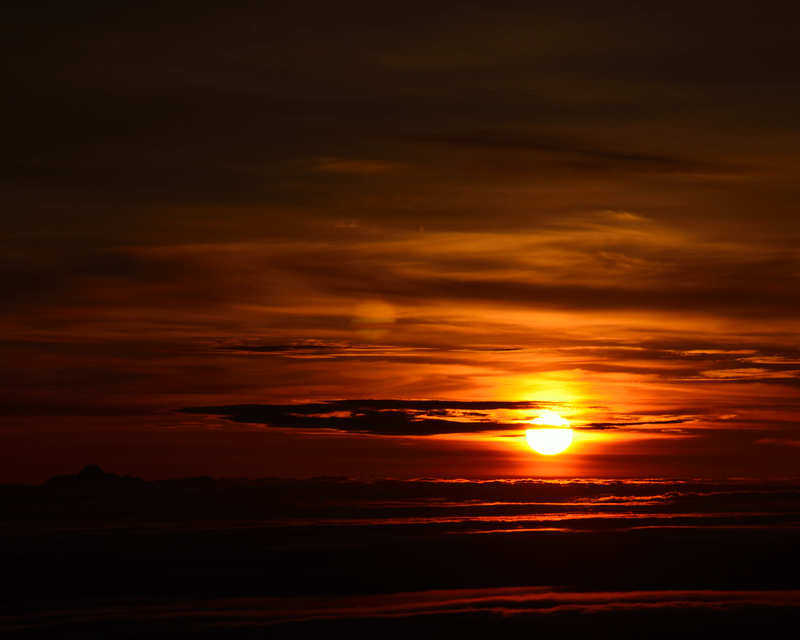 You stand above the clouds, and watch the sunrise. The views are simply astonishing. The first view across the crater, above the clouds. # 2. All shots taken with a Nikon D7000. # 3. Close up view of the brilliant colors around the sun. I used a Nikon 70-300mm f/4.5-5.6G ED-IF AF-S VR Telephoto Lens. # 4. It just keeps getting better. # 6. 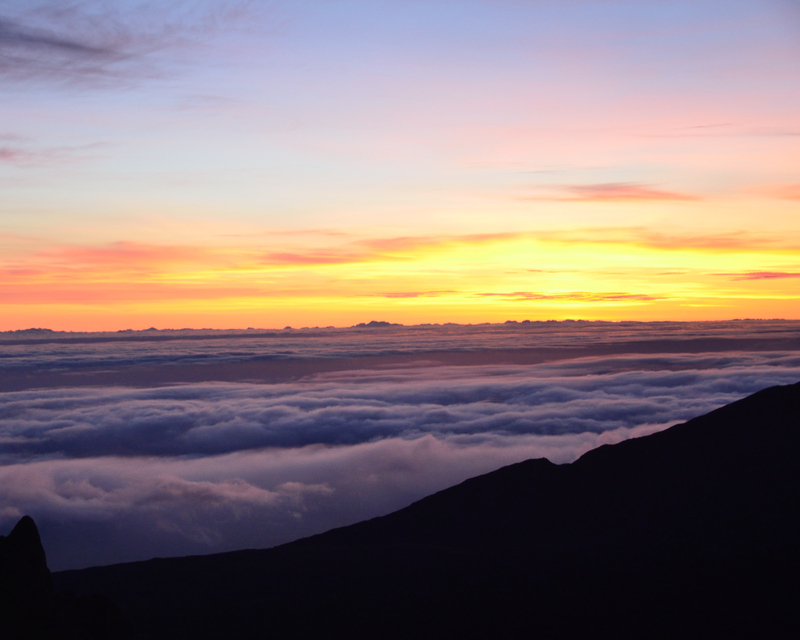 With the sun fully risen, the clouds below covering the crater are fully revealed. Wide shots taken with a Nikon 18-105mm f/3.5-5.6G ED VR AF-S DX. C-O-O-L images! Seems I’ve been known to dress like Velda on more than a few mornings for sunrise photos also, just not in Hawaii. 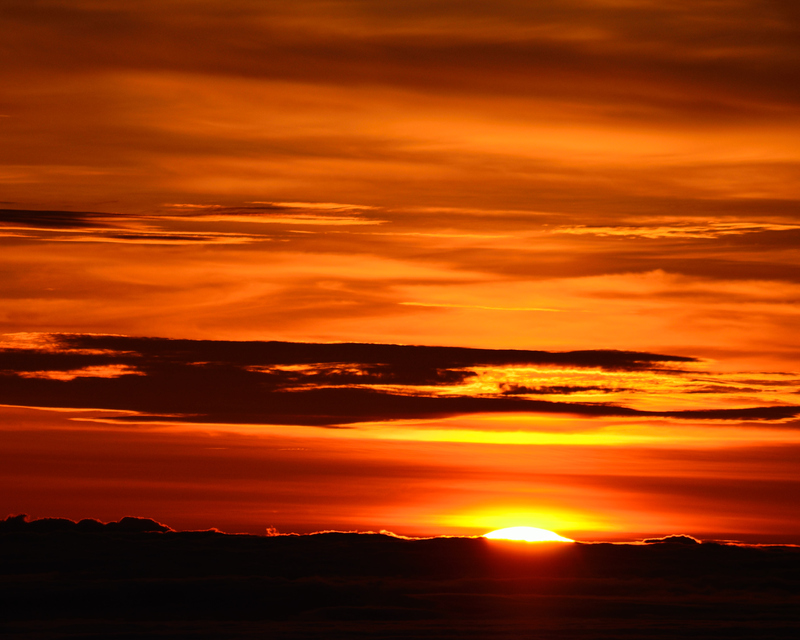 Have you viewed the Twilight Photography gallery on my website? http://Www.corinthrose.com You might enjoy it. Thanks, Cheryl! It was glorious … with moments of “WHAT ARE WE DOING?? ?” thrown in for excitement! After we meandered down the mountain — taking pictures along the way — we found our way back to the hotel for a nap. It was a very good day. And I am enjoying exploring your site. My gosh, you show me I have a lot to learn about photography! You are an artist!